Elphinstone Station-Parel Stampede: Rumours, rain, or poor infra, what killed 22 people on Dussehra-eve tragedy? 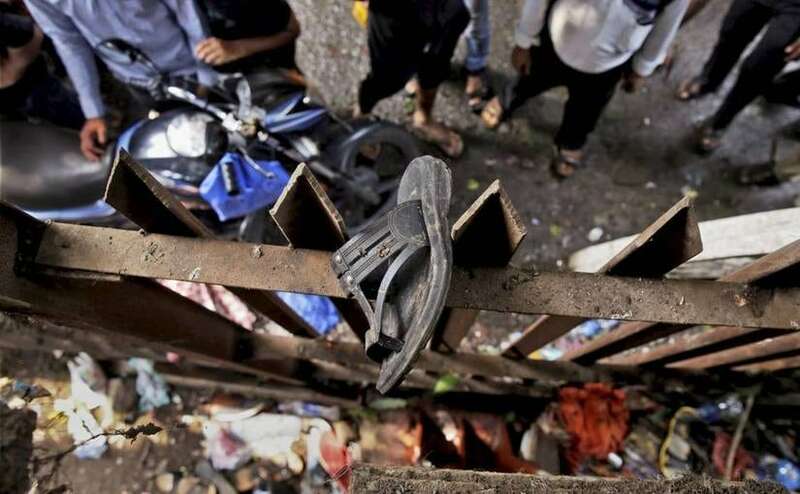 Twenty-two commuters were killed in Mumbai on Friday when a stampede broke out on a narrow railway foot over-bridge linking Elphinstone Road and Parel stations when hundreds took shelter there to escape pounding rains, officials said. At least 39 were injured, some critically, the BrihanMumbai Municipal Corporation (BMC) Disaster Control said after the morning peak hour tragedy struck on the suburban network — the veritable lifeline of the country's commercial capital. Many among the 77 lakh plus daily railway commuters, numbed by the unprecedented tragedy, besides politicians, slammed the proposed Bullet Train and demanded that funds meant for it should be diverted to improve commuter safety on the existing network. Rumours, rain, or poor infrastructure, what killed 22 people? Just what caused the stampede was not clear but in no time people desperately trying to get out of the old bridge collapsed over one another, many instantly crushed to death. The dead included 14 men and eight women. So far, various versions of the incidents suggest that the narrow bridge — a bare 77-inch-wide stretch at a station that sees very heavy footfalls — created a bottleneck at the exit as roughly five trains on both Up and Down routes stopped-by. Meanwhile, the people at the exit point were taken by surprise when unexpected heavy rains started pounding the area. Several people, reportedly fainted on the chock-a-block bridge, while others started panicking because of the suffocation. Within no time, rumours were afloat that a section of the bridge has caved in, spurring the panicked mob into a stampede. Some dazed survivors claimed the panic run followed rumours of a short-circuit — later found to be untrue. Railway officials blamed overcrowding on the bridge due to the downpour as hundreds gathered to take shelter and more kept pouring in. The site resembled a war zone with hundreds of wailing commuters, many of them trapped between the footsteps on the stairs and on the gaps in the handlebars and railings. Some even dangled precariously from the bridge while local trains zoomed below. By the time it was all over, there was a large scattered heap of bloodstained slippers and shoes, handbags or briefcases, tiffin boxes and water bottles, spectacles, crushed mobiles and broken jewellery, pieces of torn clothes and other belongings of the commuters. A tragedy that was waiting to happen? The decades-old over-bridge is used by lakhs of people to commute to the commercial area with high-end corporate and media offices. The presence of fish and flower market nearby also adds to the congestion. Moreover, the barely 70-inch-wide bridge is the lone-link between the Central and the Western Line stations in the busy commercial area. Another foot over-bridge was built, reportedly at a cost of Rs 2 crore but it is barely used because its exit lands towards the east end of Prabhadevi area, while the rush is mostly towards the west. "There is a war-like situation every day here during morning and evening hours. People fight a war to come out or enter the stations," Arun Tiwari, a daily commuter told PTI. The number of commuters who alight at these two stations has grown exponentially because of the new offices in the area. Old, Victorian-era mills have given way to glass-and-concrete towers, housing swanky offices. However, the infrastructure of the local railways, which is ironically called the life-line of the maximum city, has failed to keep pace with the exponential growth in the footfall at the local station. Besides, the structural inadequacies were an open secret. A number of daily commuters had lodged complaints with the rail authorities but to no avail. "We had given a letter to the railway administration six months ago with a request to do something to improve the shoddy state of affairs here," another daily commuter told PTI. It was also discovered that former railway minister Suresh Prabhu had apparently released Rs 11.8 crore for building a new foot-over bridge to connect Mumbai's Western and Central lines in the Prabhadevi area, after the Shiv Sena MP from South Mumbai, Arvind Sawant, drew his attention to the matter. The bridge, if it had been constructed on time, could have saved several lives. Apparently, it took 22 lives to spur railways authority into action, who on the same day announced that the tender for building the new foot over-bridge has been floated. The 40 feet wide FOB was announced in the 2016 Railway Budget and was part of the Rs 45-crore budget earmarked towards escalators, foot over-bridges and Automatic Ticket Vending Machines (ATVMs) for Mumbai suburban section. The new bridge, to cost approximately Rs 9.5 crore, is expected to be open for commuters by early next year, PTI reported. The first to respond to the disaster were taxi drivers and motorists who rushed the injured and the barely living to the KEM Hospital in Parel in cabs and even two-wheelers. Railway minister Piyush Goyal - who was in Mumbai to inaugurate around 100 new train services — announced a high-level probe into the tragedy. 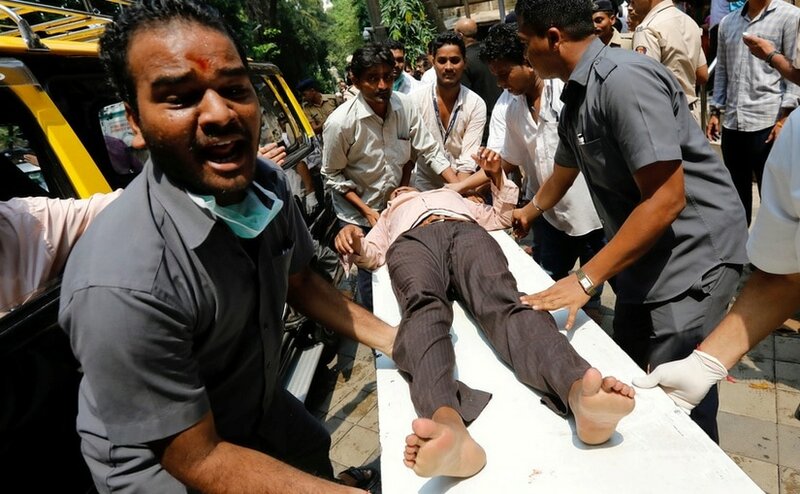 When Goyal and Maharashtra education minister Vinod Tawde reached the hospital to meet the injured, they faced demonstrations and sloganeering by thousands of angry commuters and Shiv Sainiks demanding accountability for the deaths. Goyal also set up a high-level enquiry into the incident and ordered audits at all local stations to determine loopholes in safety arrangements. Holding a series of meetings with high-ranking officials of Western Railway and Central Railway, Goyal ordered setting up of multi-disciplinary teams to visit and inspect all suburban stations and identify areas of concern. Goyal also directed the railways to draw up plans for all suburban stations to upgrade their electronic surveillance by installing CCTVs in a time-bound manner. The Central and Maharashtra governments announced compensation of Rs 5 lakh each to families of the dead besides compensation and free medical treatment to the injured. Chief Minister Devendra Fadnavis, who was in Singapore, announced a separate probe into the incident and compensation for the victims, most of who were identified by late evening. The hospital appealed for blood donations. Thousands of Mumbaikars responded. Within hours, all the hospital's requirements were met. President Ram Nath Kovind and Prime Minister Narendra Modi expressed grief. "My deepest condolences to all those who have lost their lives due to the stampede in Mumbai. 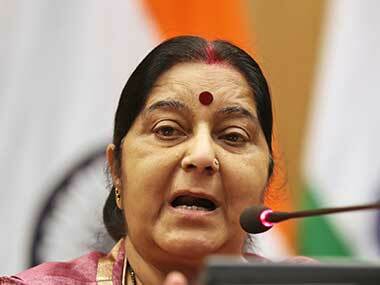 Prayers with those who are injured," Modi tweeted. While the incident 'sabotaged' the railway minister's plans for the day, it provided fresh fuel to BJP's 'frenemy' Shiv Sena and Opposition Congress and the Nationalist Congress Party to attack the proposed Rs 1.08 lakh crore Bullet Train project. 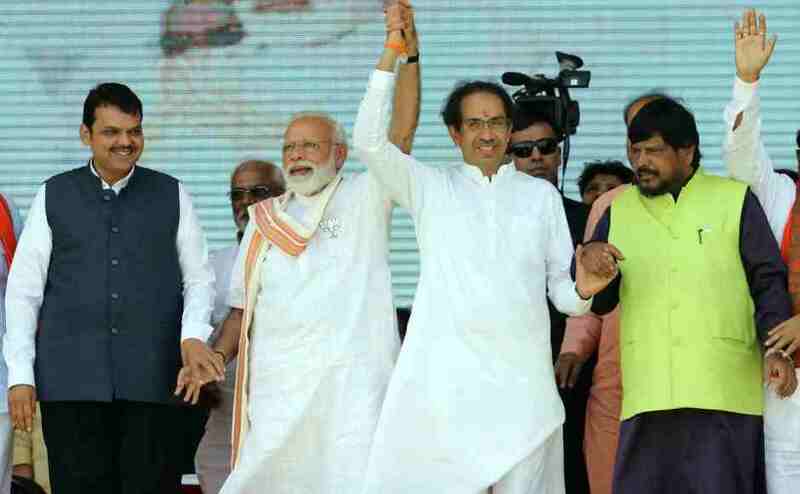 Shiv Sena MP Sanjay Raut termed the deaths "a public massacre" and demanded criminal proceedings against the railway minister and top railway officials on charges of "culpable homicide not amounting to murder". Congress leader Ashok Chavan demanded a judicial probe and stringent action against the guilty, while Sonia Gandhi called the tragedy a man-made disaster. 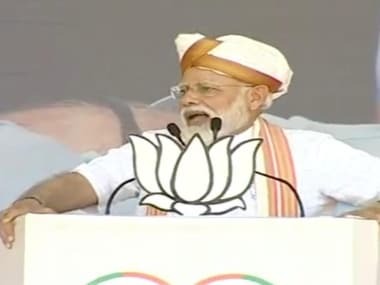 Criticising the railways for "criminal negligence", the party also took a jibe on Modi advising him to "change the face of the railways and not ministers". A party spokesperson also said that Modi had "misplaced priorities" and that instead of spending money on bullet trains, the government should focus on improving railways' basic infrastructure. NCP senior leader Jitendra Awhad said the government had promised to fund a Rs 46,000 crore project to overhaul Mumbai's suburban railway network. It was mum on the long-pending suburban elevated rail corridor and instead was focussing on an expensive Bullet Train. 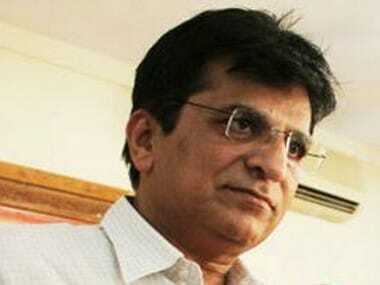 Congress and NCP leaders also demanded the resignation of railway minister, who took charge this month. The festival-eve calamity sparked off angry reactions on social media, with many questioning lapses vis-a-vis safety and security of commuters even as mega-projects like Bullet Trains are announced. Many Mumbaikars said they had abandoned plans to go on weekend outings or shopping for Dussehra on Saturday. Appeals came up on the social media to cancel or curtail Friday night's final Navratri celebrations as a mark of respect to the stampede victims. With inputs from agencies and contributions from Aprameya Rao, Bindisha Sarang, Sanjay Sawant and Sulekha Nair. 1Elphinstone Station-Parel Stampede: Rumours, rain, or poor infra, what killed 22 people on Dussehra-eve tragedy?